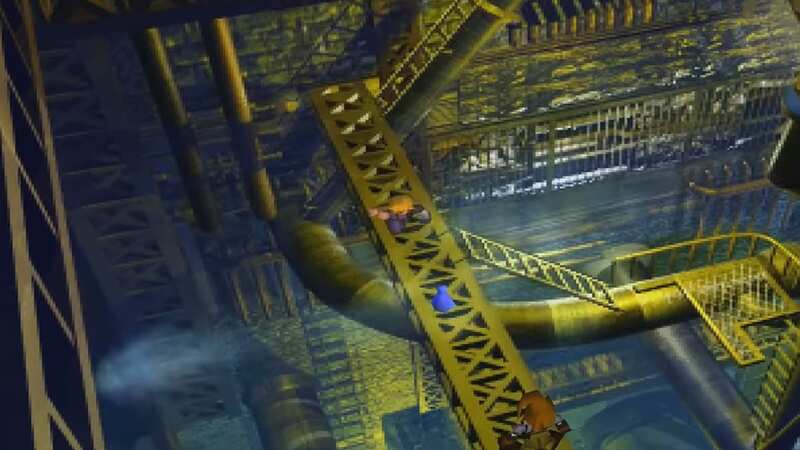 Assault Gun Guard Scorpion boss located in the main pipe area. 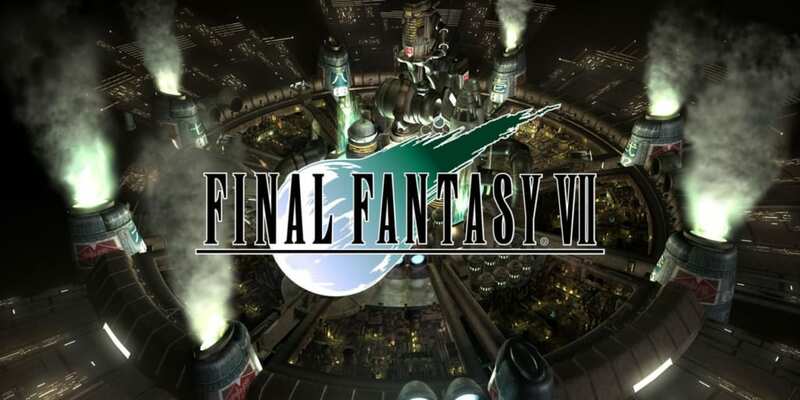 Watch cutscene: Midgar cinematic sequence. Walk toward the train platform and examine the body of the knocked out red guards to get 2 Potions. 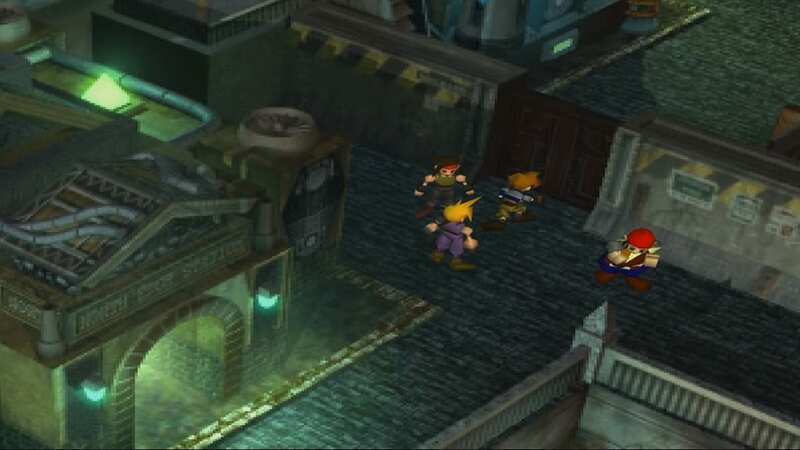 Battle with two Midgar guards. Proceed to the Sector 1 Train Station and speak to AVALANCHE team members. 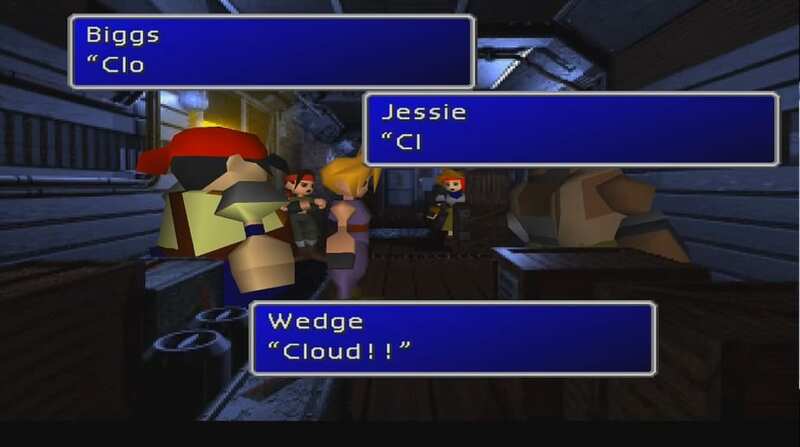 Optional: Edit Cloud’s name and Barret’s name. It is advisable not to edit all characters. Proceed to the pathway coming from the doorway. Prepare for random battles. Move to the right side of the T-intersection. 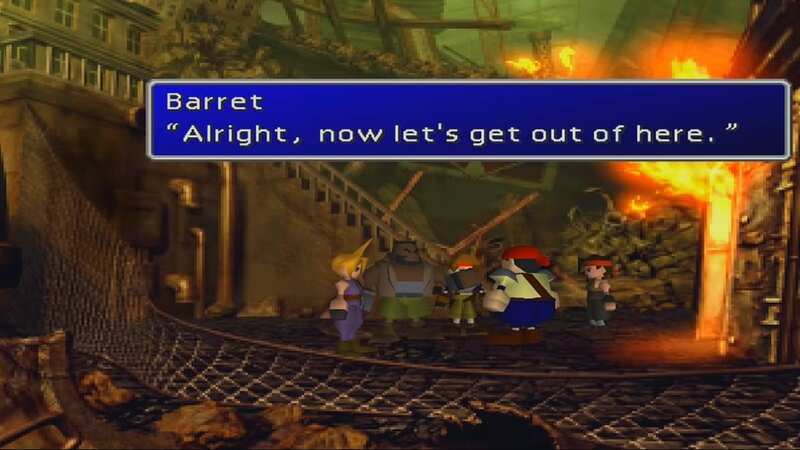 Speak to Barret and he will join your party. 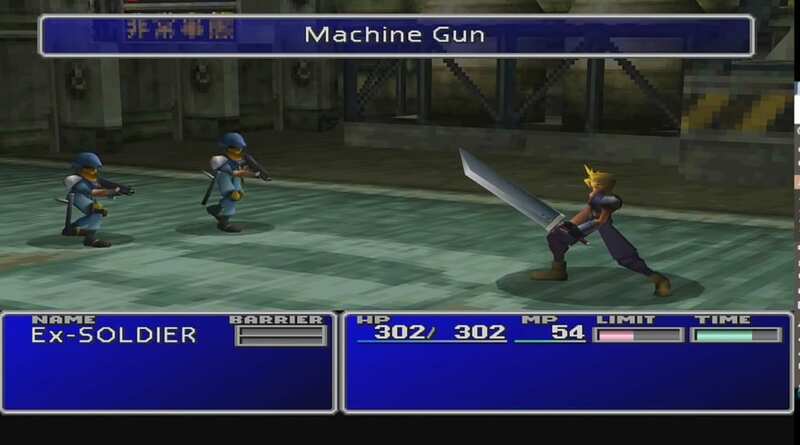 Move Barret at the Back Row of your party. Talk to Biggs to open the door. Talk to Jessie in the second room to figure out the code for the second door. Talk to Jessie again near the elevator and jump in. 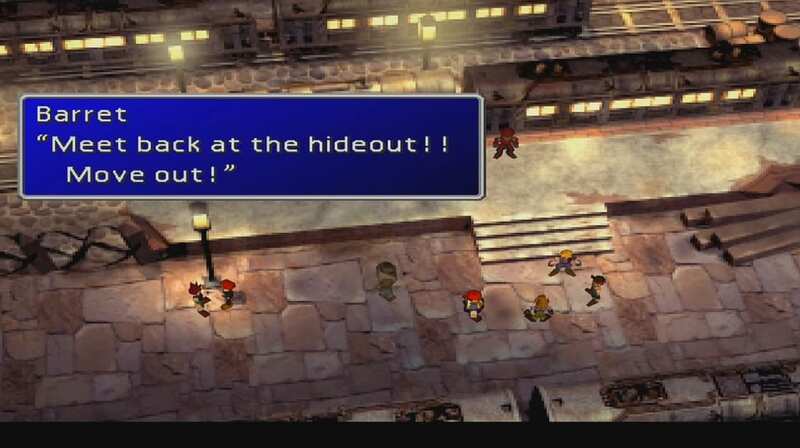 After a conversation with Barret in the elevator, move outside and follow Jessie. Prepare for random battles while going down the ladder. Enter a doorway and jump over the gap. 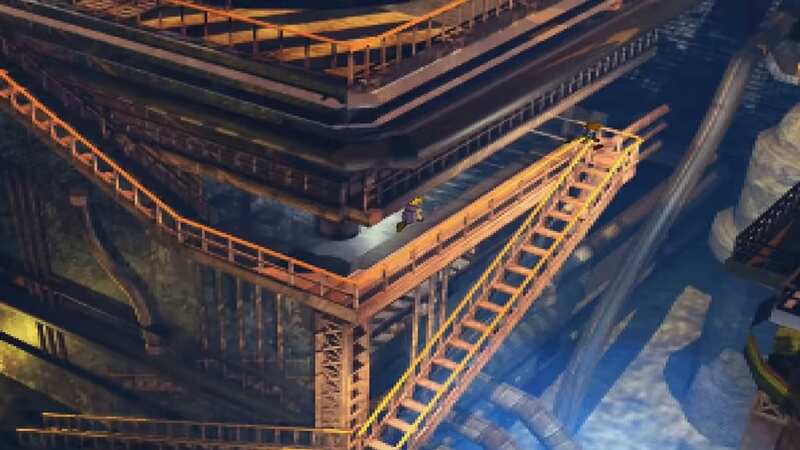 Read Tutorial: “How to Use the Ladder”. 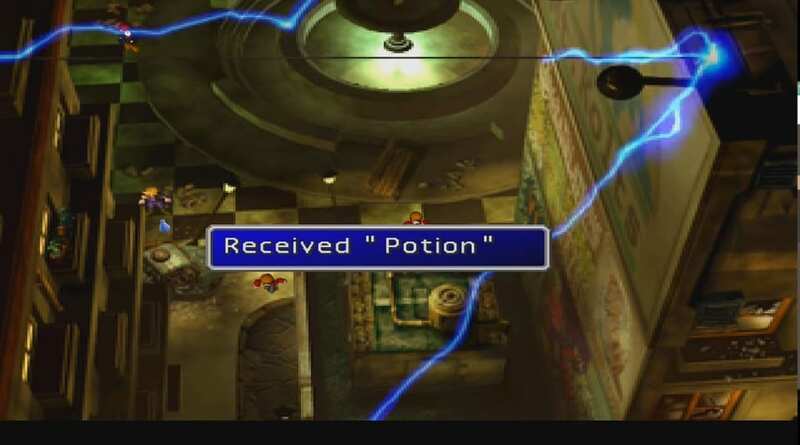 Pick up the Potion lying in front of Jessie and continue downward. Save your game at the Save Point before engaging a boss battle. 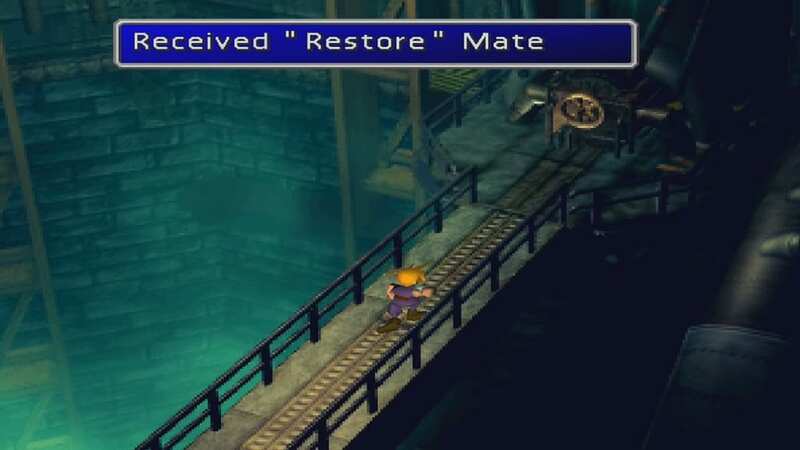 Pick-up a Restore Materia. It will be used later in the game. 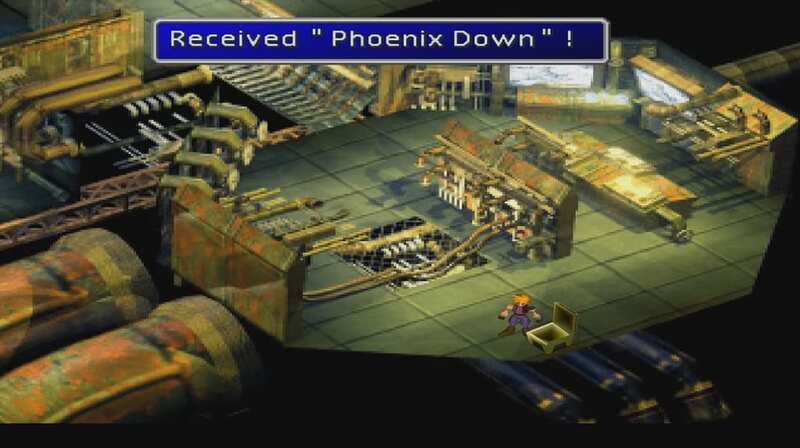 Set-up the bomb while making sure Cloud and Barret’s HP are full. 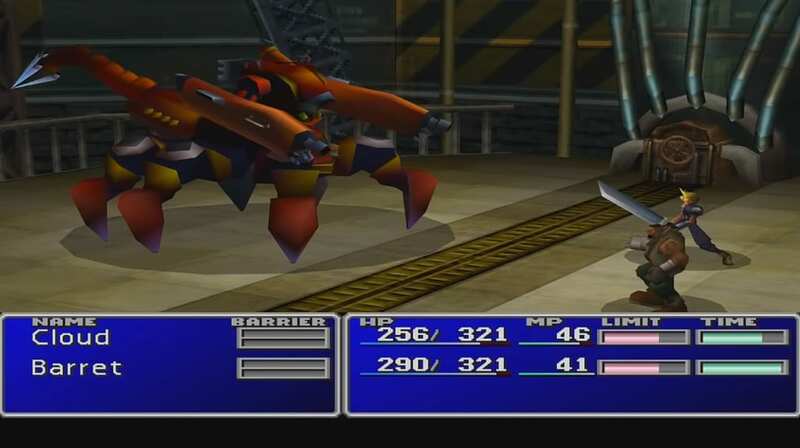 Boss battle with Guard Scorpion. Run as quickly as possible away from the reactor. Help Jessie free her leg. 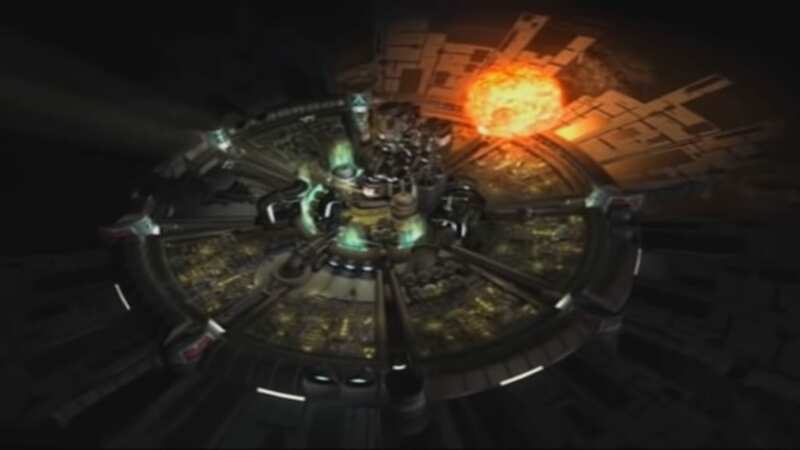 Watch cutscene: Mako Reactor #1 Explosion. AVALANCHE team makes an exit. 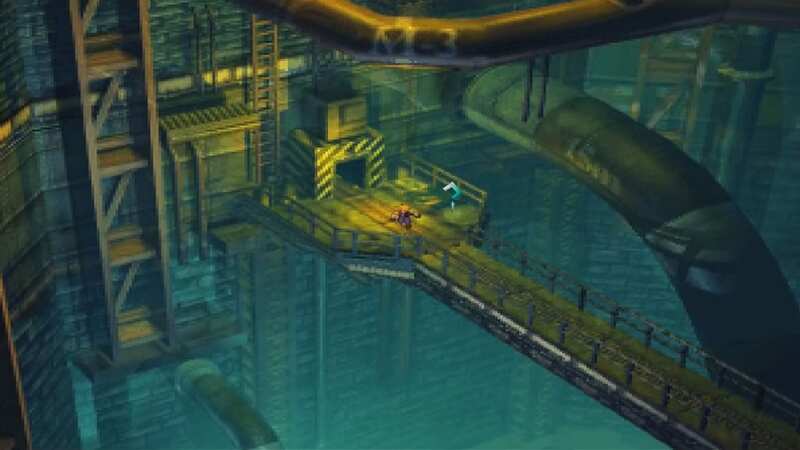 Proceed upward, heading to Sector 8 and meet Aerith for the first time. 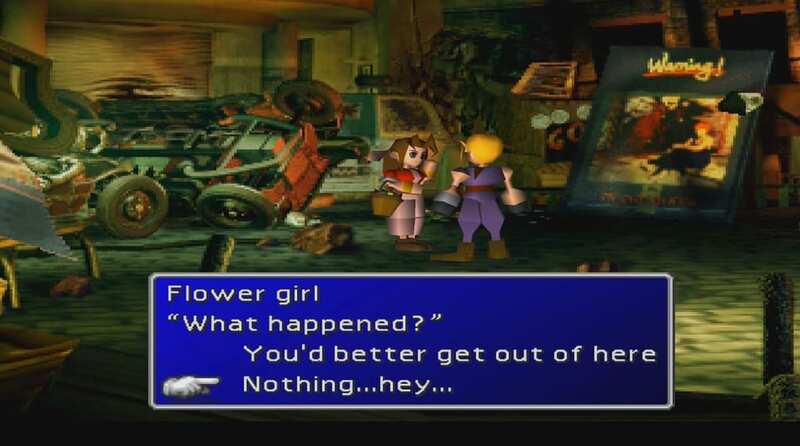 Interact with Aerith in Sector 8. Choose: “Nothing.. hey, listen…” and buy a flower from her. Pick up a potion on the next screen and continue moving south. Battle with the first group of Soldiers. Choose: “Later” to avoid more battles. Jump onto the train and meetup with the AVALANCHE team. 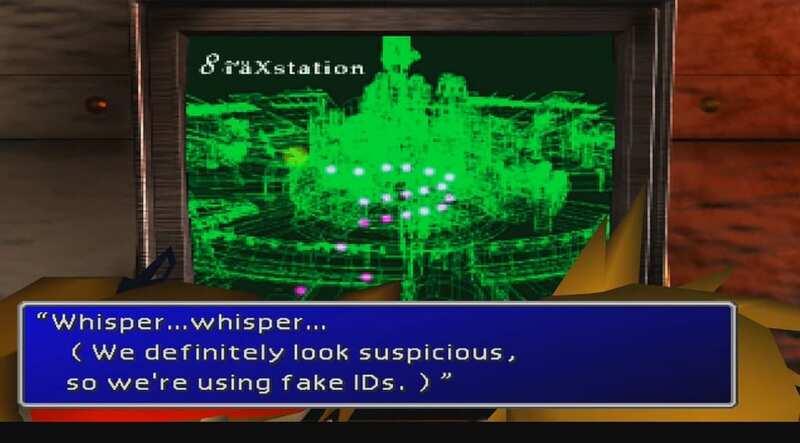 Talk to Barret after arriving at the Sector 7 Station. Follow the team to the left. 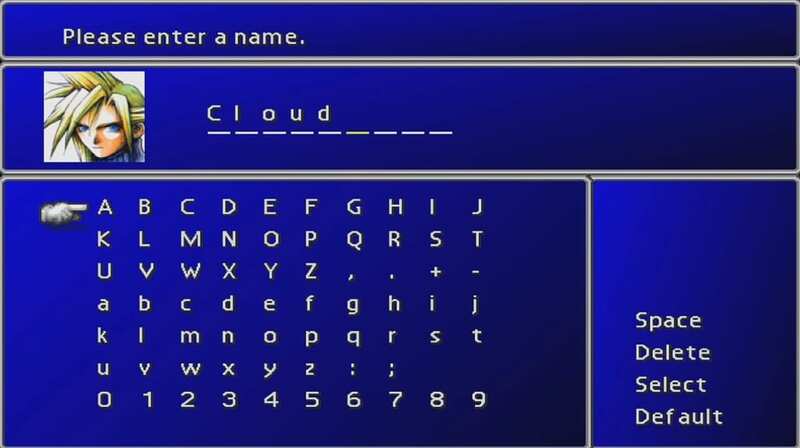 5) Optional: Edit Cloud’s name. 7) Move to the right side of the T-intersection. 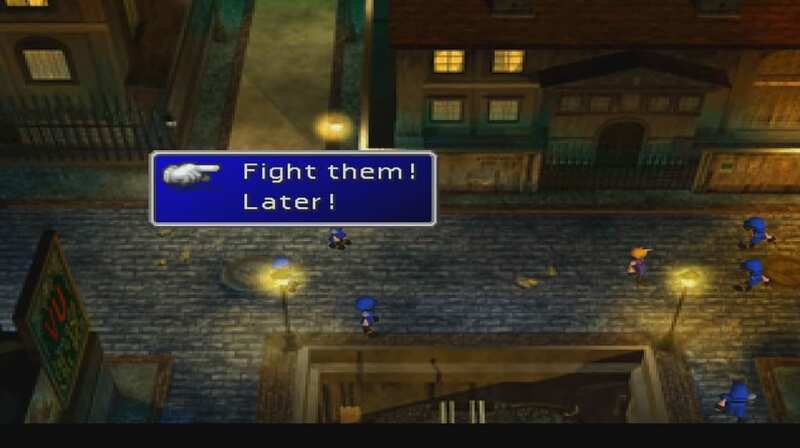 Speak to Barret and he will join your party. Move him to the Back Row of your party. 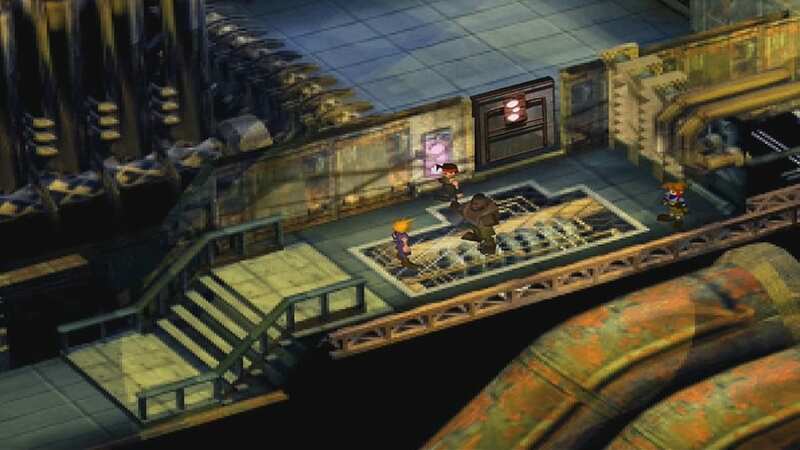 12) After a conversation with Barret in the elevator, move outside and follow Jessie. Prepare for random battles while going down the ladder. Make sure your party is fully healed prior to the boss battle. 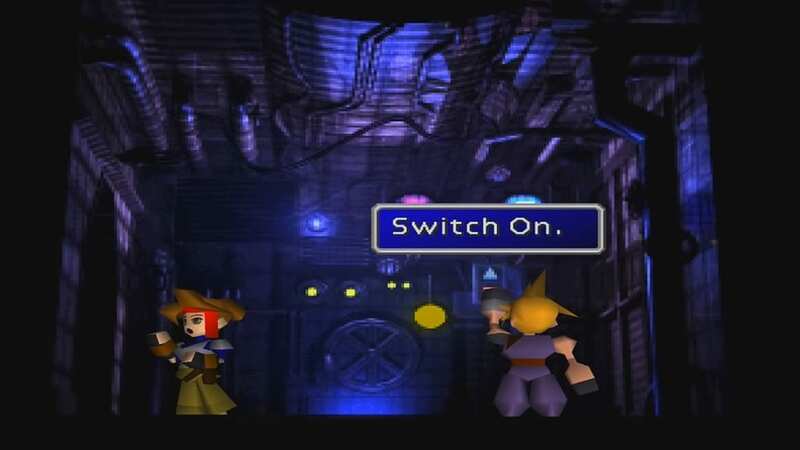 Cloud should use Lightning magic attacks while Barret uses normal attacks from the backline. 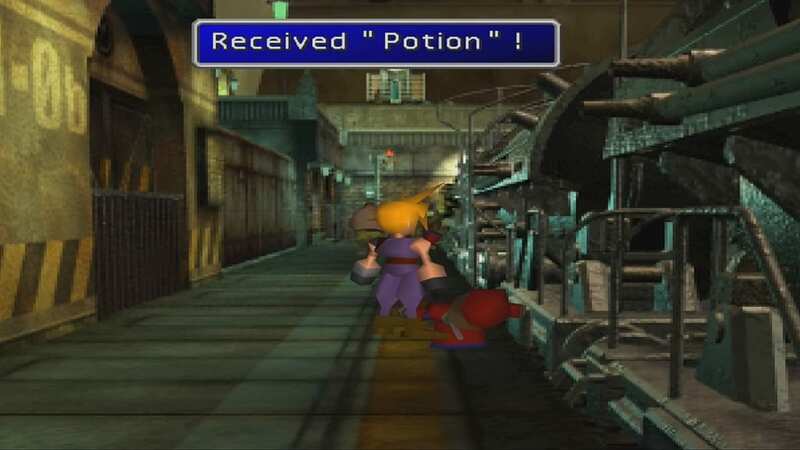 24) Pick-up a potion on the next screen and continue moving south. 26) Jump onto the train and meetup with the AVALANCHE team. 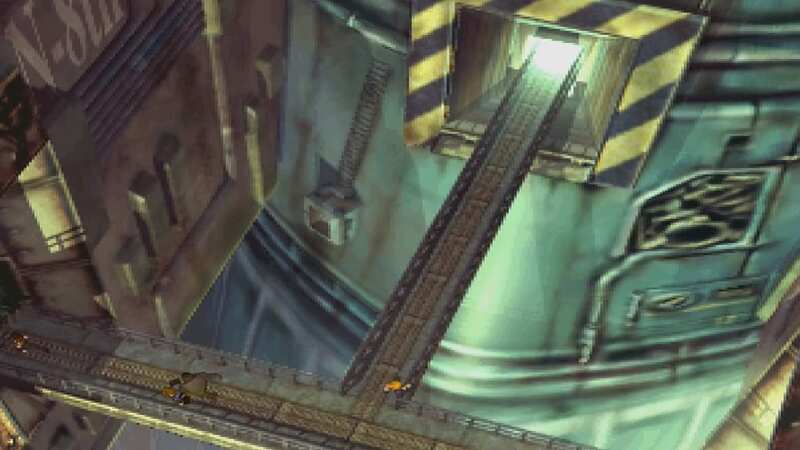 28) Talk to Barret after arriving at the Sector 7 Station. Follow the team to the left.